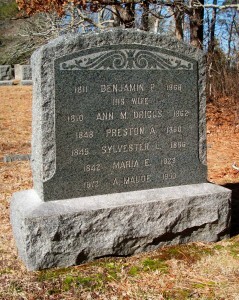 Died: October 10, 1862 in Sandwich Ma. at 52 yrs, 1 mo, 3 d.
1. William Henry Mahurin; (January 28, 1839 – October 18, 1913); Married Ellen Freeman Green (1839 – 1925) (Zebedee Greene & Betsey F. Swift) in Sandwich Ma. 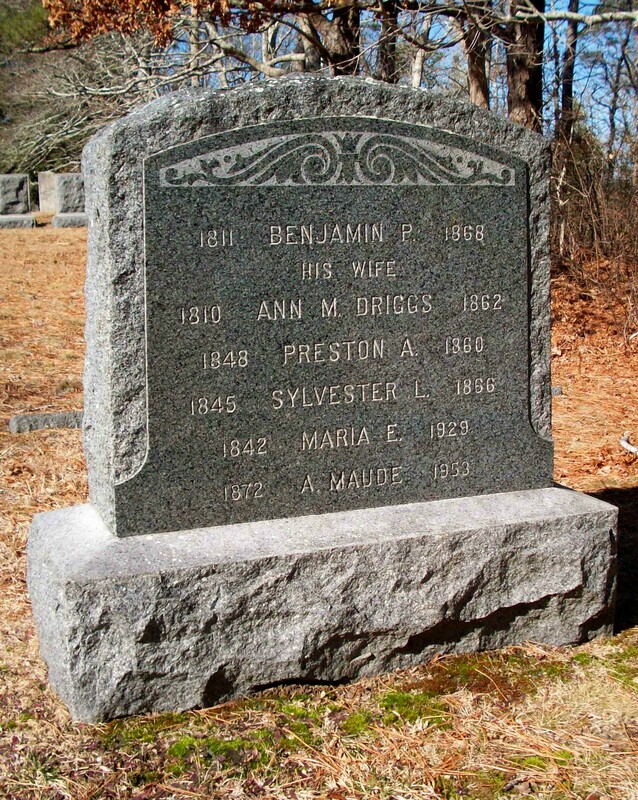 on July 24, 1864; William & Ellen are buried in Pocasset Cemetery. 2. Maria Elizabeth Mahurin; (January 25, 1842 – January 13, 1929); Maria died at 86 yrs, 11 mos, 18 d. & is buried in Pocasset Cemetery. 3. 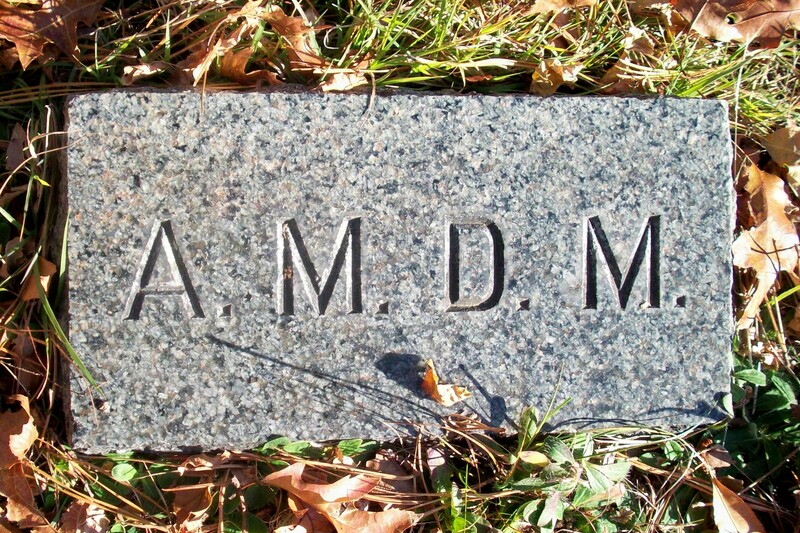 Sylvester L. Mahurin; (April 7, 1845 – December 3, 1866); Sylvester, a blacksmith, died at 21 yrs, 8 mos. 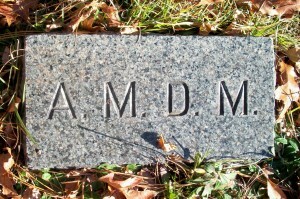 & is buried in Pocasset Cemetery. 4. Preston A. Mahurin; (1848 – October 26, 1860); Preston died at 11 yrs. & is buried in Pocasset Cemetery.